In recent weeks, so much was said about the unity of Christians. Someone even wants to create a single local church. But the question is: where this unity can come from, who must be at the core of it, what idea of unity of the Church left us, the Christians of the third millennium, Jesus Christ Himself? The center of the unity of the Church of Christ is not the president, not the patriarch, but the successor of the apostle Peter - the Pope. 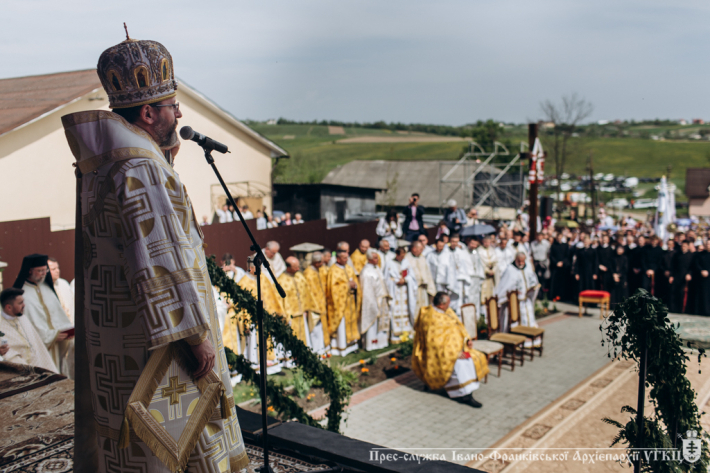 Such a position was expressed by the Father and Head of the Ukrainian Greek Catholic Church His Beatitude Sviatoslav on Sunday, April 29, 2018, in the village of Starunia, Ivano-Frankivsk region. 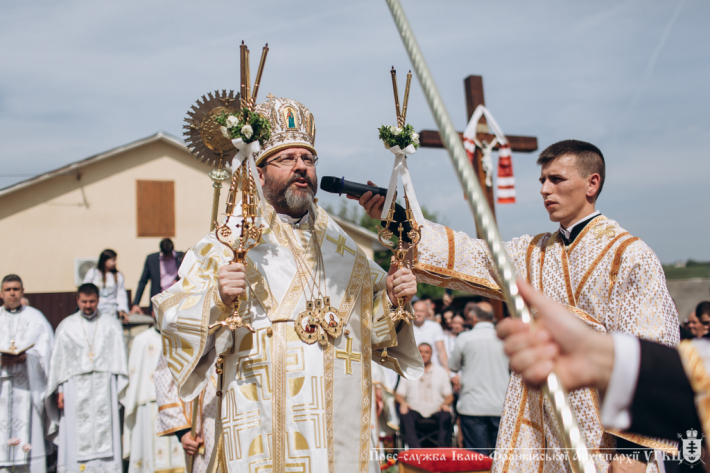 The Primate arrived in Prykarpattia on the occasion of the 125th anniversary of the birth of the Blessed Martyr Symeon Lukach. 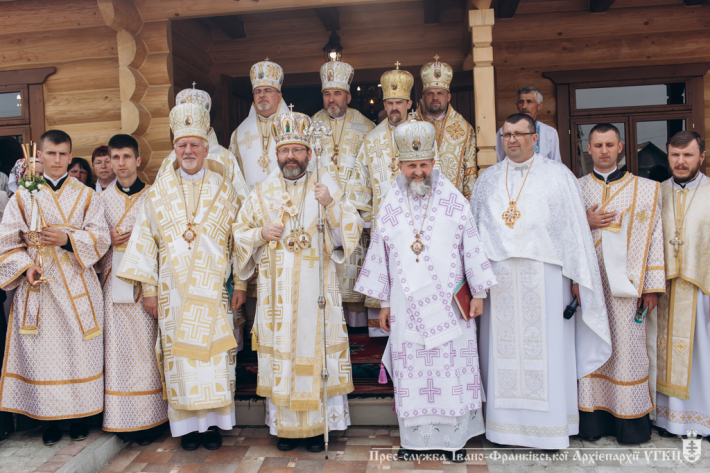 The Primate was greeted by the Archbishop and Metropolitan of Ivano-Frankivsk Volodymyr (Vijtyshyn), Archbishop and Metropolitan of Lviv Ihor (Voznyak), Eparch of Kolomyia Vasil’ (Ivasiuk), Eparch of Stryj Taras (Sen'kiv), Eparch Buchatsky Dmytro (Hryhorak), Eparch of Chernivtsi Yosafat (Moshchych), Auxiliary Bishop of Ternopil-Zboriv Archeparchy Theodor (Martyniuk) together with visiting clergy and faithful who have come to share a great joy of the parish of Saints Peter and Paul. In his homilly to the faithful, the Primate said that today all came to Starunia, this Boyko land, in order to thank the family that gave our Church and our nation a great hero, an underground bishop martyr - blessed Symeon Lukach. Today in the Holy Gospel we hear about the recovery of a paralytic... "This Word of God”, said the spiritual leader of the Greek Catholics, “which the Church listens to and by which lives for two thousand years, resounds in a special way, here in Starunia. For today we want to remember the blessed holy martyr, his life, and his testimony of faith. 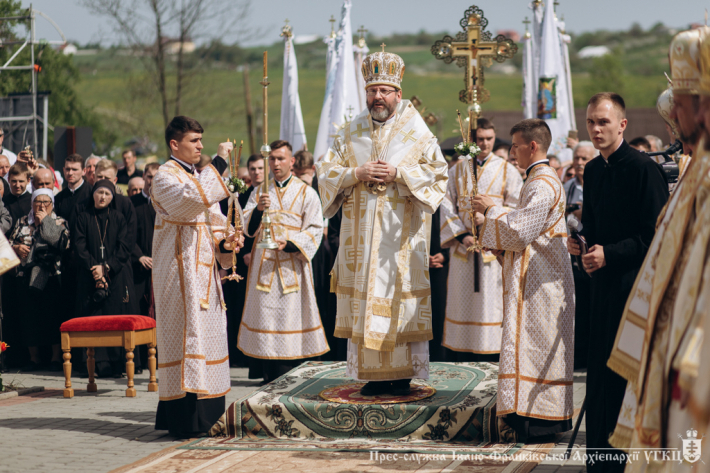 When we hear about the sheep font, about the Sabbath, which forbade anyone to move or carry something, we look back at the years when Bishop Symeon Lukach came here as the heir of the apostolate ministry of blessed martyr Hryhoriy Khomyshyn. 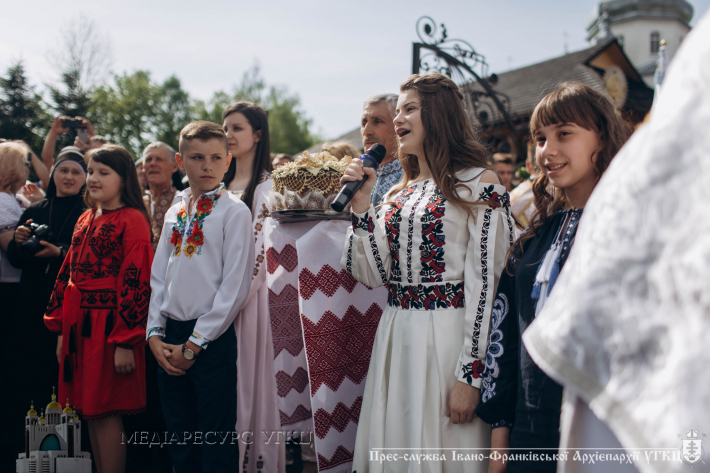 We can say that Starunia as all the Ukrainian land was pressed against a kind of communistic Sabbath, where all had to be moveless, where there was an attempt to turn all the people into blind and lame, and deprived of hope." For this purpose, believes the preacher, Symeon Lukach was precisely the man whom people then needed; he became the hands of the Savior Himself, and here he passed on the grace of the Holy Spirit. He taught the Word of God, giving people hope. We ask ourselves today: with what power did he do it? "With the same power that probably told him and others: get up, assume responsibility and change the world around you. What did he start doing? He did not bring an angel from heaven, but God Himself, serving the Holy Mysteries. And there are still people who were baptized by the martyr Symeon Lukach. He was giving away the Sacrament of Chrismation here. But the greatest force that changed the world, and this we feel until today, when we come here as pilgrims, - he served the Divine Liturgy every day. There was a moment when he served it in the temple, later - every day behind the closed doors of his private family home that still remains," said His Beatitude Sviatoslav. 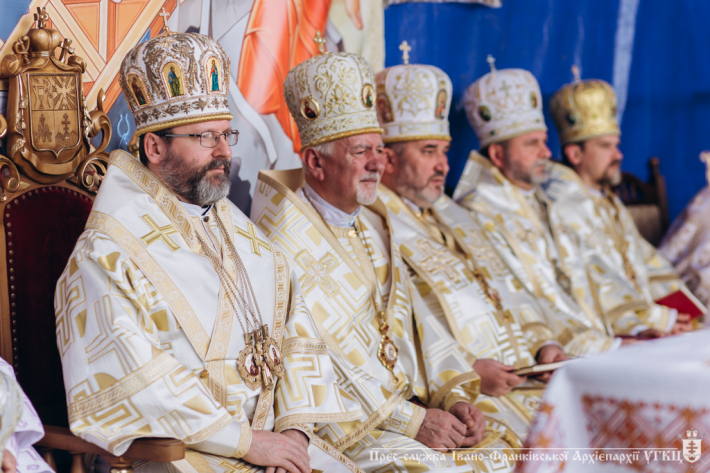 But time has come, emphasized the hierarch, when he was able to move the world, and today we can openly celebrate the solemn Hierarchical Liturgy. The blessed holy martyr understood that prayer gives hope to the people in the worst times. "Today we thank him for the testimony of faith, but we must also accomplish what the Word of God says and what the holy martyr Symeon says," the preacher stressed. 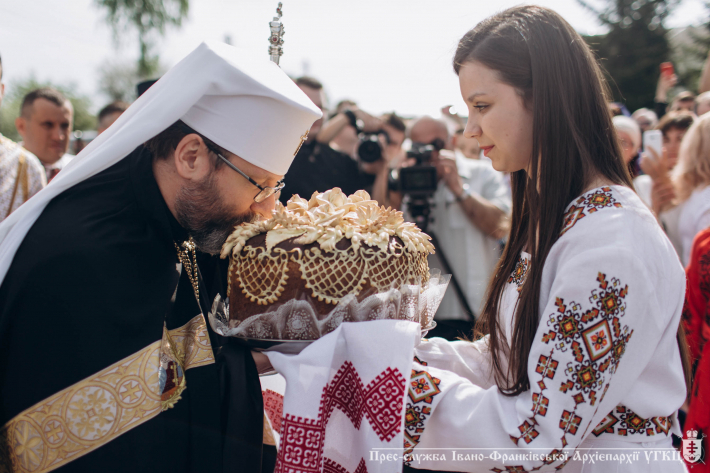 "Look now at our Ukrainian people," called the Head of the Church," and at our Ukrainian land. Very often the mighty of this world want to take away hope from us. They want to turn us into a nation of paralytics. How many people in our nation today are losing hope that something can be changed. Through the blessed martyr the Lord speaks to us today: "Arise! Get up, daughter, get up, son! Take your bed and walk! " That means, take the power of God given to you today, in this Divine Liturgy, take responsibility for the destiny of the Church and the nation. Do not be afraid of responsibility for your neighbor, and change the world by the power of God." But the testimony of blessed Symeon Lukach has a special meaning in the context of searching unity among the Christians now. “They speak a lot about creating a single church now; but who should be at its foundation? 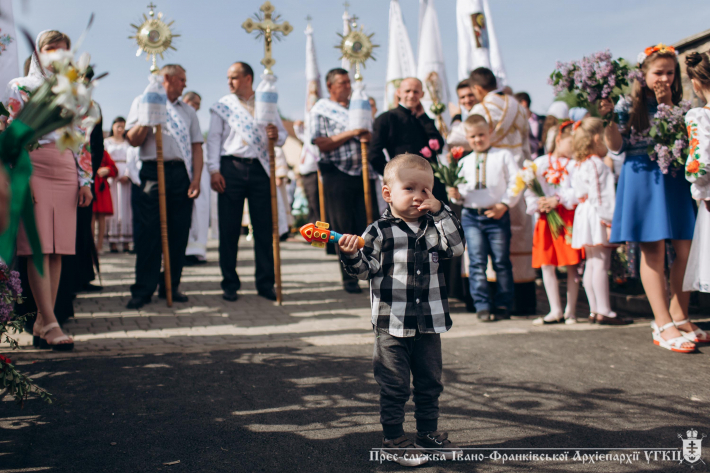 – The blessed holy martyr gives the answer – It is not the president or the patriarch, but only the successor of apostle Peter – the Pope.” There was always a temptation to betray this loyalty to the Church of Volodymyr’s baptism. The whole underground church was suffering because of this. Afterwards, the hierarch blessed the museum of Symeon Lukach and of the catacomb church of the UGCC.